For a class of 30. Introduce your students to the fascinating world of microbes. Students investigate environments of their choice for the presence of bacteria and fungi. They learn to describe the characteristics of colonies that grow from their samples. 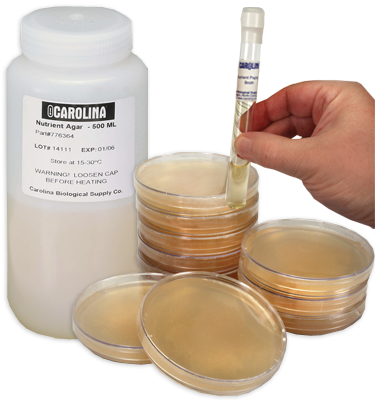 All materials provided to sample both liquid (e.g., drinking water) and solid (e.g., your file cabinet) environments. Includes complete instructions and prepared plates.